Please Don’t Tell Me Sugar Isn’t Vegan?! Alright, so what on earth is wrong with sugar? 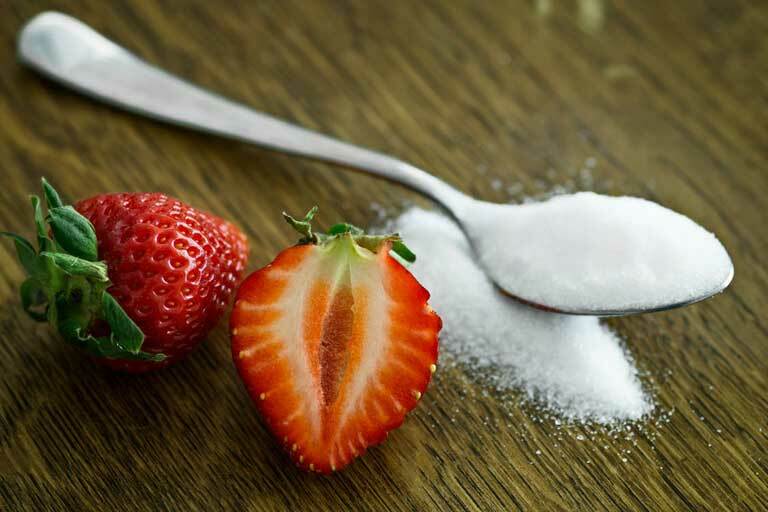 Sugar is derived from a variety of sources. The most common sources in the United States are beets and sugar cane (roughly half the sugar market is from each source). Unfortunately, cane sugar is often whitened using charcoal from the bones of cows. Yuck! That’s gross, but is that really a good reason to avoid eating something? Is it really any worse to spend money on products from companies whose workers aren’t vegan? I mean then my money is still indirectly being used to support someone else eating meat. That’s a good point, but it’s tough to live in this society without making some compromises. If you want to raise your own food, more power to you! But, if not, avoiding sugar that’s been processed with bone char is a relatively simple thing one can do that can really make a difference. Since the majority of the sugar in this country is not processed with bone char, companies generally respond positively to making a switch when they find out that many vegans won’t eat their products otherwise. All animal advocacy campaigns should be this easy! So is brown sugar OK since bone char is just used to whiten it? You would think so, wouldn’t you? Unfortunately, brown sugar falls into the same category as white sugar . “Brown sugar” is actually just white sugar that has had coloring and flavoring (molasses) added to it after it already had its natural brown coloring removed. Will the wonders of science never cease? But, all beet sugar is safe? Yes! Beet sugar is fine, and tastes just the same as cane sugar. In fact, it’s also generally better for the environment as well. On the down-side sugar beets are sometimes genetically engineered. What about fructose, dextrose and sucrose? You might think fructose only comes from fruit, but actually the majority of commercial fructose on the market is derived from corn or beet source (both of which are fine). Dextrose is derived from corn as well, so go ahead and eat those french fries. Sucrose could be just about anything, so you’ll need to verify with the company whether it’s from cane sugar (and if so, whether bone char was used to process it). Well, how about turbinado sugar, organic evaporated cane juice, organic dehydrated cane juice, and organic cane sugar? All of the above are bone-char free! See, this isn’t so hard afterall is it? How do I know whether a particular brand of sugar has been processed with bone char? Read on and you’ll find a list of companies selling bone-char-free sugar, as well as a list of companies who have confirmed that they do use bone char. If you don’t see your local brand of sugar on this list, drop us an email or check back later, as this list will continue to be updated as we confirm more companies. I believe it is vegan. I’m vegan and I use organic coconut palm sugar all the time to make oatmeal cookies. For me organic usually signals the sugar is safe and with no bone char. How about coconut sugar ? My oldest granddaughter is Vegan and I’m always finding a treat or protein booster to make her. I just made the banana bread and kept a slice for myself. Yum. Coconut sugar in my opinion is pretty much always vegan.